process and form: landforms resulting from, or influenced by, the exogenic agencies of weathering, running water, flowing ice and meltwater, ground ice and frost, the wind, and the sea; landforms developed on limestone; and landscape evolution, a discussion of ancient landforms, including palaeosurfaces, stagnant landscape features, and evolutionary aspects of landscape change. 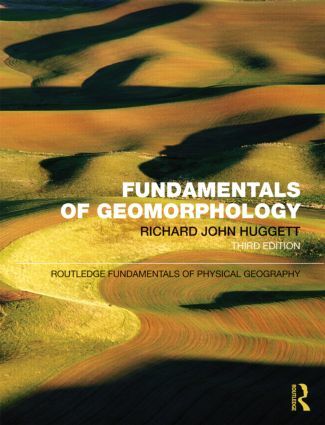 This third edition has been fully updated to include a clearer initial explanation of the nature of geomorphology, of land surface process and form, and of land-surface change over different timescales. The text has been restructured to incorporate information on geomorphic materials and processes at more suitable points in the book. Finally, historical geomorphology has been integrated throughout the text to reflect the importance of history in all aspects of geomorphology. Fundamentals of Geomorphology provides a stimulating and innovative perspective on the key topics and debates within the field of geomorphology. Written in an accessible and lively manner, it includes guides to further reading, chapter summaries, and an extensive glossary of key terms. The book is also illustrated throughout with over 200 informative diagrams and attractive photographs, all in colour.